Whats the difference between Yoga and Pilates? One of the questions I get asked a lot – What is the difference between Yoga and Pilates?. After all a lot of the moves are very similar and I find the two compliment each other well. Both can help improve flexibility , build strength and help with mental health, and lower stress levels. Below are my takes on the differences between the two . Yoga means the Union of the mind, body and spirit and originated in India , thousands of years ago. Yoga helps us build strength and improve flexibility too, and also has a strong emphasis on our Spiritual wellbeing also. Pilates was originally known as Contrology , when Joseph Pilates first brought the concept to New York in the 1920’s , where he had his own studio . It was only after his death in 1967, the name was changed to Pilates by his wife Clara. 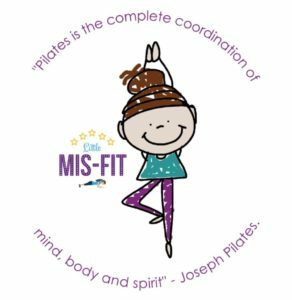 Joseph Pilates was born in Germany in 1880 and was poorly as a child, suffering with rickets, asthma and Rheumatic fever. As he grew up, he wanted to develop a health regime to make him stronger and healthier and tried various activities such as Yoga, gymnastics, skiing, boxing and karate, along with meditation. In 1912 he travelled to England , working as a boxer, Circus performer and Self defence instructor. However during World War 1, as a German living in England, he was interned as an enemy alien. During his time locked up, he worked on a training regime, which he would share with his camp mates and he also created programmes to help injured soldiers with rehabilitation exercises. After the war is over , he returned back to Germany, and through his friend Rudolph Laban was introduced to Dance. In 1926 , However he set off for America – New York, where he meets his future wife, Clara. Joseph opens a Studio in New York and primarily works with dancers to help keep them strong , reducing their risk of injury and if they did get injured , help them recover. Joseph Pilates trained dancers and apprentices in his Pilates method , and they would then go on to open their own studios. For Joseph Pilates , Pilates was the complete coordination of mind and Body. 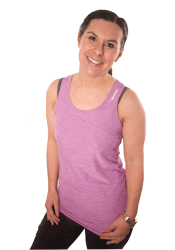 The main focus of Pilates is about building core strength. The Core is seen as the Powerhouse of the body. Pilates moves can also help all those smaller muscles get stronger to help better support the bigger muscles in the body, lowering your risk of injury and is often used by athletes especially runners because it . Having a strong Core, strengthens the Spine, reduces lower back pain and bringing better alignment to the body and improving posture.it also helps keep the pelvis in alignment Pilates helps build a long lean body. There is also a focus on taking deep, full breaths .This allows the muscles to be supplied with energizing oxygen and the old stale air to leave the body on each exhale. Pilates is often used in rehabilitation of those with injuries, health conditions and orthopaedic conditions , just like Joseph Pilates did all those years ago with the injured soldiers during WW1. I have clients with a wide range of health conditions , some of whom I work with 1-1 as we can tailor the session specifically for them. Even if you are generally fit and well though, including a Pilates/Yoga workout in your programme amongst those Higher impact workouts is highly beneficial, it will stretch out tired muscles and help keep them strong, lower your risk of injury and bring balance to the mind and body . Modern living means we are a generation with poor posture from spending days hunched over computers, laptops, mobile phones etc, which means we are also all constantly “switched on” so stepping on to that mat will help you find a little oasis of calm. Both Yoga and Pilates are also brilliant for pre/post natal women. For me personally , I love the benefits of combining elements of both Yoga and Pilates into my own practice and that of the classes I teach, and the majority of my Pilates classes will finish with a Savasana / snooze just like in Yoga . For some though this actually the hardest part of the class – relaxing!. Those are the often the ones that need it the most! . What about you guys?, do you have a preference?